Just a few things that I noticed in days past. 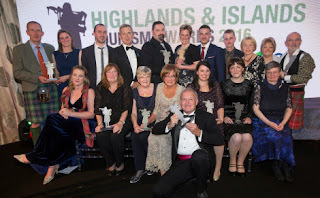 Firstly, congratulations to Steve Feltham on being just awarded the "Ambassador of the Year" at the Highlands and Islands Tourism Awards. Having spent a quarter of a century at the lochside looking for that conclusive evidence to prove the existence of the Loch Ness Monster, his activities have attracted thousands of visitors to his home at Dores Bay and generated a large amount of articles on himself, the loch and the monster worldwide. You can't deny that this has added global interest to the phenomenon. I remember watching his "Desperately Seeking Nessie" program on the BBC back in 1992 and was impressed by the dedication and sacrifice he had put into that decision. Of course, over 25 years, things change. His roving round the loch in his converted mobile library home ground to a halt when the MOT finally failed. He is now searching more for catfish than plesiosaurs and (the last time I checked) he has been married for at least eight years. In between all that, he has had one Nessie sighting. Given the decrease in sightings due to the drop off in general fish stock countrywide since the 1980s, that is no surprise. One feels, it would have been better to have set up camp in 1934 rather than 1992, but there is nothing any of us can do about that (though stocks are beginning to recover). I like the old stuff to do with Loch Ness, even if it is not monster related. 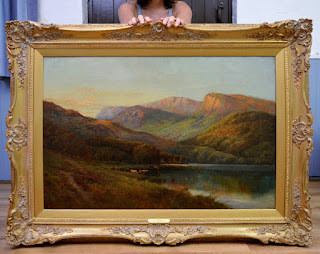 I pointed out an old painting of the south side of the loch previously, but another has now popped up on eBay. For a mere £6,950, it is yours. It would look good over the fireplace whilst you lean on the mantle admiring it with a dram of Glenfiddich in your hand. Admittedly, I have no idea where at the loch the painting is meant to be set. The artist, Alfred de Breanski Jnr, could have painted it at the beginning of the 20th century, but given the dirt track that passes for a road in the painting, I would guess the south side approaching Foyers from the north, but post your own comment below. While we're on the subject of old things from Loch Ness, take a look at this eBay item. It's a chopping block taken from a 17th century farmhouse at Drumnadrochit. Yours for £250! 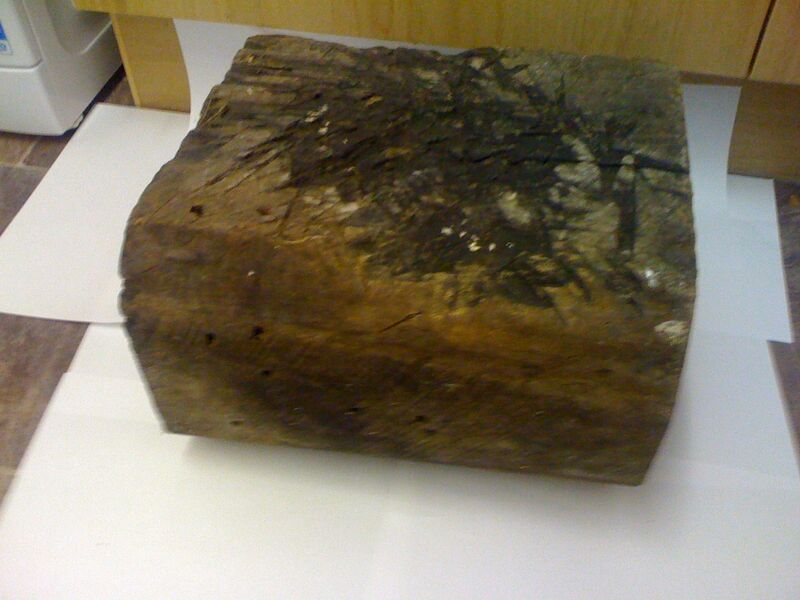 I am not sure I would pay that much for a block of wood! Perhaps even less relevant to Loch Ness is Jeremy Clarkson and his team arriving at Loch Ness on the 2nd or 3rd of December to film the studio audience part of their upcoming episode of "The Grand Tour". What they will actually be doing at the loch is uncertain and will presumably have already been filmed before then. While I am here, I may as well blow my own trumpet as I noted today that this blog reached third on the Google rankings for a search of "loch ness monster". Like Andy Murray, it would be nice to hit No.1 spot, but, as far as I know, this has never happened. Mind you, I continue to wonder how "The Legend of Nessie" website manages to retain No.1 spot consistently - despite not having updated their website for years. Anyway, both websites put out a distinctly pro-Nessie message, and that is what matters to me.